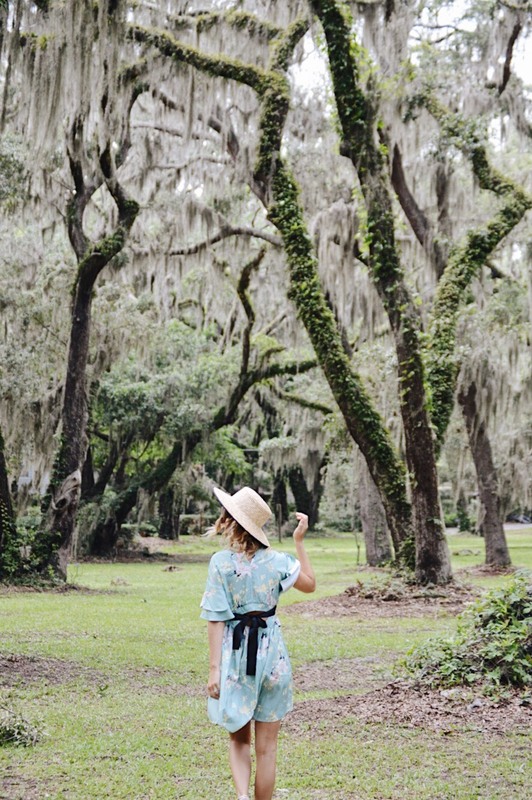 There is just something so romantic about the Spanish moss that hangs gracefully in the trees here in Georgia- it makes me feel as though I am in a Nicholas Spark's book or something. Speaking of romance, how dreamy is this bird print dress that I am wearing? 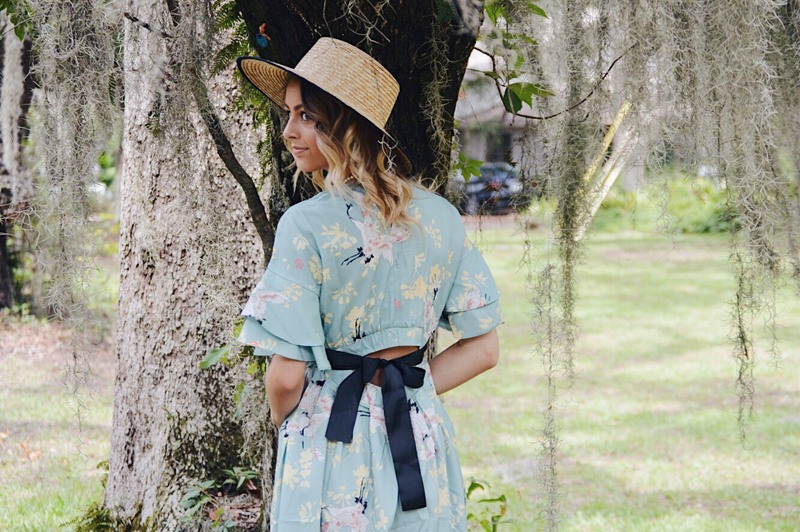 I love the soft mint color, the bow detailing in the back and the vintage-esque print. 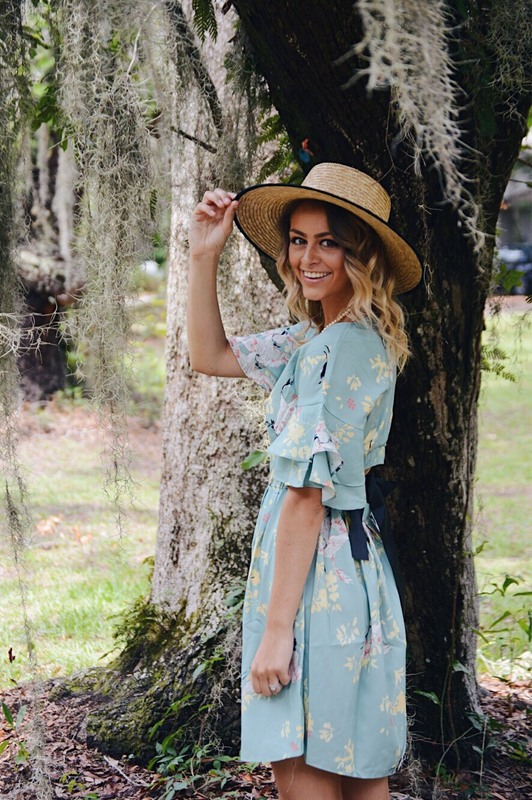 All this outfit needed was my signature straw hat and a string of pearls around my neck and I was ready for an afternoon stroll under the Spanish moss with my Joseph.